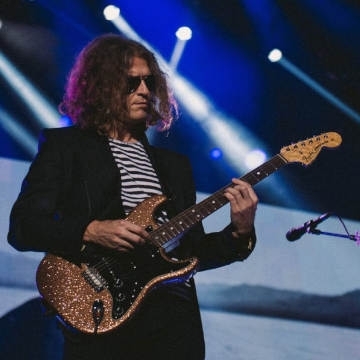 Dave Keuning, founding member and guitarist from The Killers, is returning to the UK this March for an eight date UK & Ireland tour. The run of dates follows the release of his enticing debut album ‘Prismism’, Out Now. More than 17 years have passed since Iowa transplant Dave Keuning placed an ad in the local Las Vegas Weekly looking to form a band. An eager 20-year-old named Brandon Flowers, who shared Keuning’s love of groups like New Order and the Cure, answered it, the result was the formation of The Killers.